The Competition Appeal Tribunal has paved the way for BT YouView viewers to get access to Sky Sports 1 and 2. Ofcom, who has been championing wholesale access to Sky Sports on other pay TV platforms has welcomed the move. 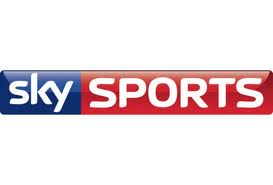 In 2010, Ofcom ordered that Sky Sports 1 and 2 be available on a "wholesale must offer" basis, which initially allowed BT to carry the two sports channels on its original BT Vision TV service, first via digital terrestrial television, and since the summer of 2013 via broadband. But until now, it's not been possible for BT to offer the service to its YouView users. Sky and BT have a long running dispute with each other over the wholesale must offer provision, amplified in recent years by BT's entrance into the premium sports TV market last year. 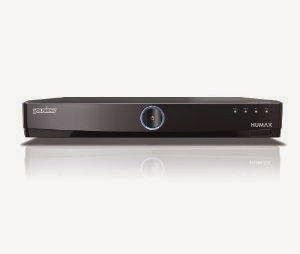 The deadlock resulted in BT not being able to provide Sky Sports 1 and 2 via the "wholesale must offer" provision on its newer YouView service, leaving only viewers with older BT Vision boxes with access to the channels. This forced BT to continue running its old and new TV services side-by-side, although BT has begun winding down its older service, when it took the oldest boxes out of action in the summer. The news of an imminent addition of Sky Sports content comes a day after BT YouView viewers were given access to Netflix. BT is expected to announce details of how BT YouView users can add Sky Sports to their subscription soon. Ofcom's chief executive Ed Richards, said: “After more than four years of litigation and legal challenges, Ofcom’s 2010 pay TV decision continues to serve the interests of UK consumers and this ruling is consistent with our original decision. “Today’s ruling paves the way for more top sports to be available on another TV service and supports competition and innovation in the communications sector as we originally intended. In a statement issued by the regulator this afternoon, Ofcom said: "Today’s Tribunal ruling follows last week’s Supreme Court decision, which rejected BSkyB’s request to challenge Ofcom’s powers to the impose the wholesale must offer on BSkyB. "Ofcom will take account of today’s decision in its current Competition Act investigation over supply of Sky Sports 1 and 2 to BT’s YouView service. BT last year complained about the terms under which BSkyB was offering these channels to BT." In addition to Sky Sports 1 and 2, Sky Sports 5 was added to the old BT TV service in August 2014 in line with the wholesale must offer provision, as Sky Sports 5 became the new home of some content previously on Sky Sports 1. The wholesale must offer rules has provisions safeguarding other pay TV providers in the event of Sky moving substantial amounts of programmes from Sky Sports 1 and 2 to other channels. Sky Sports 3, 4, F1 and News HQ are out of the scope of the wholesale must offer, and the provision of these channels on BT YouView will have to be subject to a deal between BT and Sky. Channel list showing the full set of Freeview and YouView channels that can be received on a YouView box.